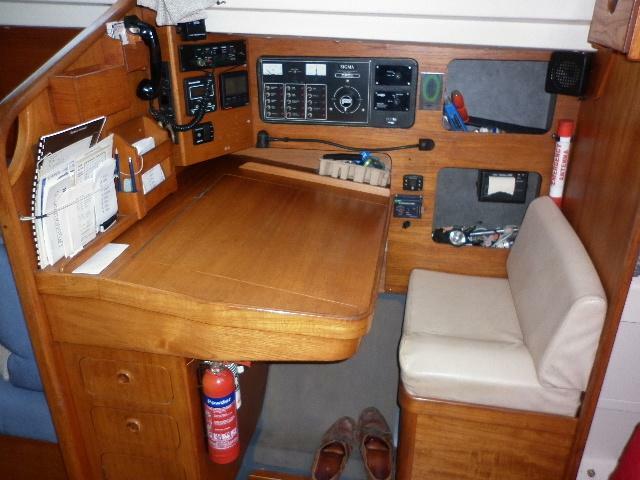 Sigma 362 from 1987 in very good condition with much improvments in this ownership, standing rigging 2007, eberspacher heating 2009, chartplotter 2008, AIS 2008, aoutopilot 2010 and much more, if your looking for a competively priced mid 30's cruiser with round cans potential then this boat should be on your list. Lying ashore North Wales. 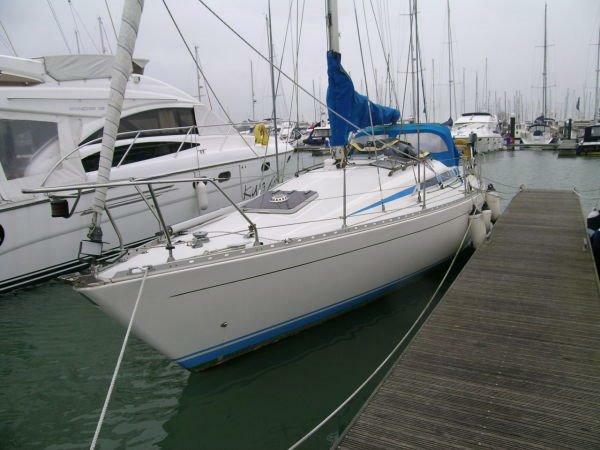 Recent £5,000 reduction, August 2015. Volvo 2003 with shaft drive to Bruntons Varoprop (new 2008). New prop shaft, hshaft alf coupling, flexible coupling and PPS prop shaft seal system in 2008. New Volvo gearbox spline conversion (MS2) 2012. New plastic "Tek-Tank" diesel tank 2008. 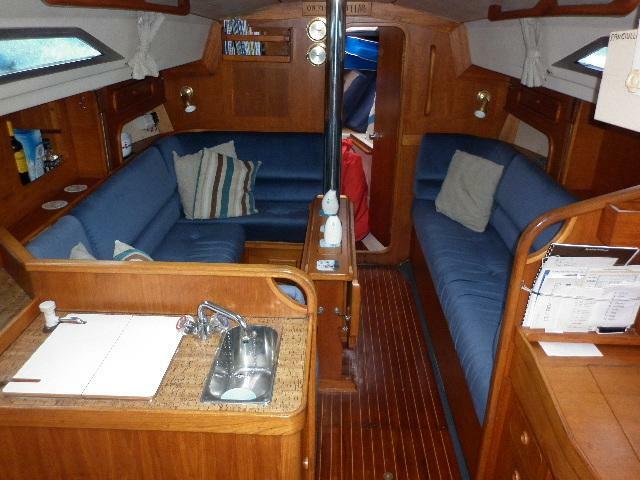 Shore power with immersion heater, battery charger and 13amp outlets. 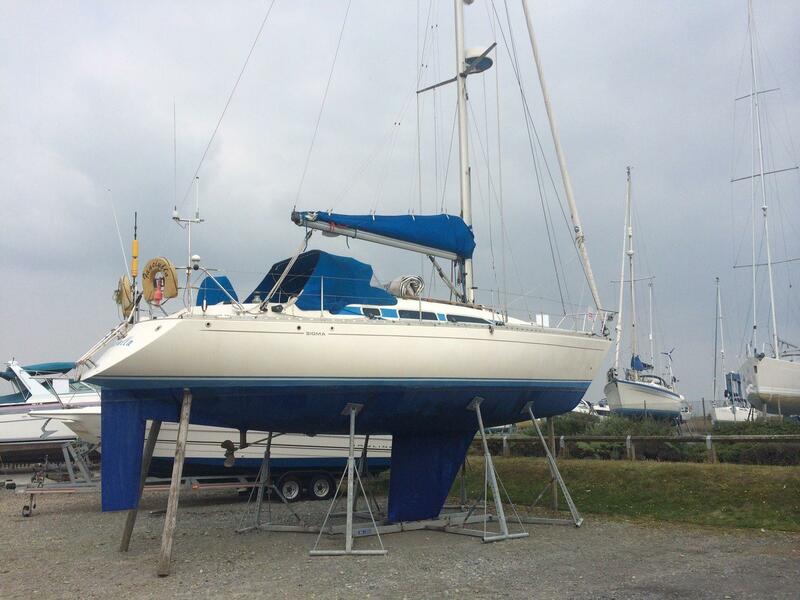 Seldon aluminium mast, boom and spinnaker. New standing rigging in 2007. 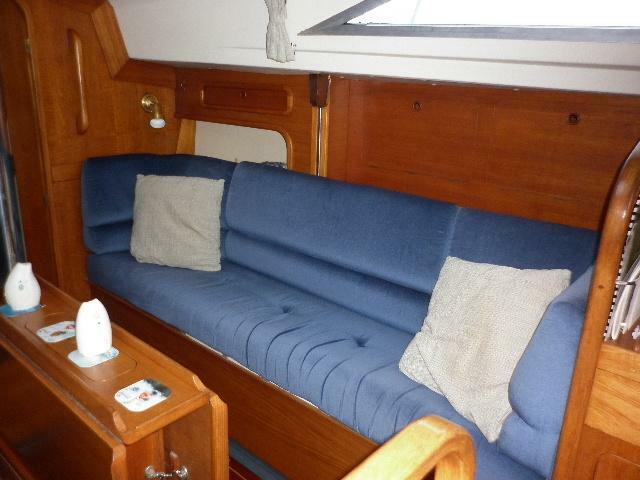 Slab reefed main with new lazy jack bag (2010). 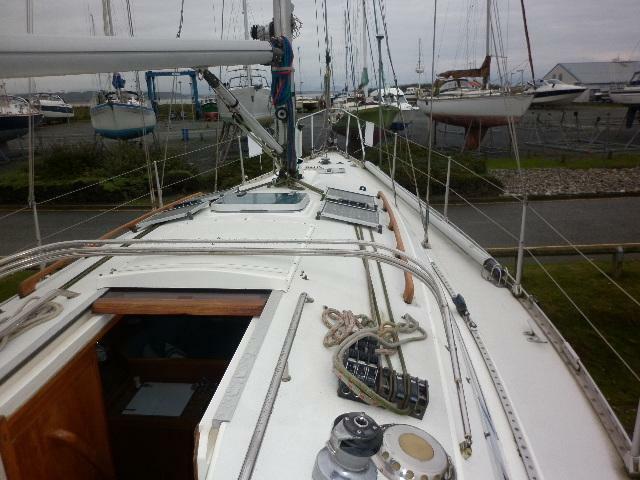 2 Lewmar 30 self tailing halyard/reefing wicnhes. 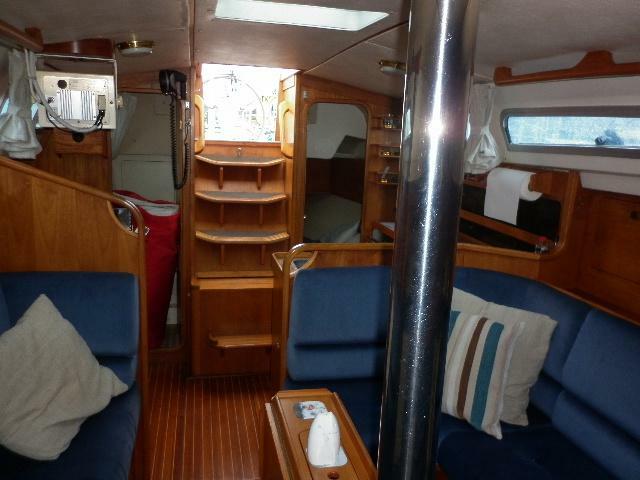 2 Lewmar 46 self tailing sheet winches. 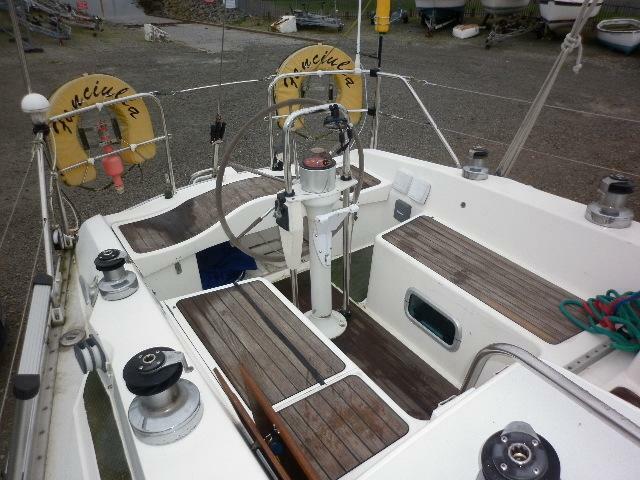 2 Lewmar 30 self tailing spinnaker winches. Spinlock rope clutches new 2010. 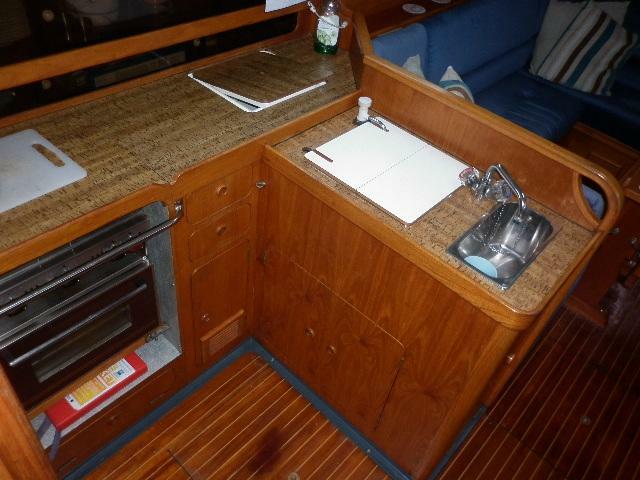 Mainsheet track forward of sprayhood. 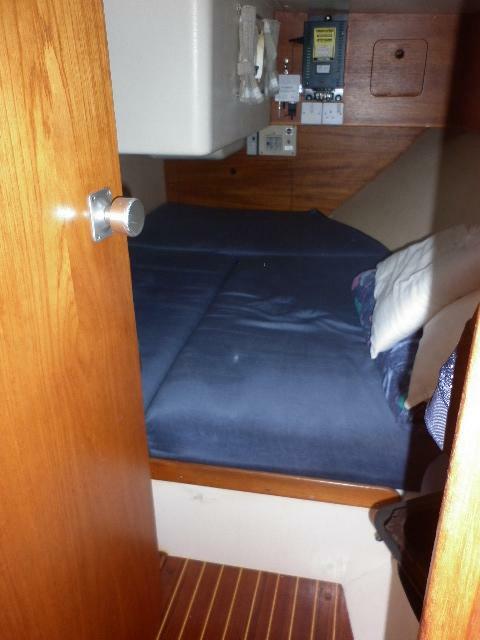 Forward cabin with v double berth, vanity unit with hot and cold water, and ample storage. 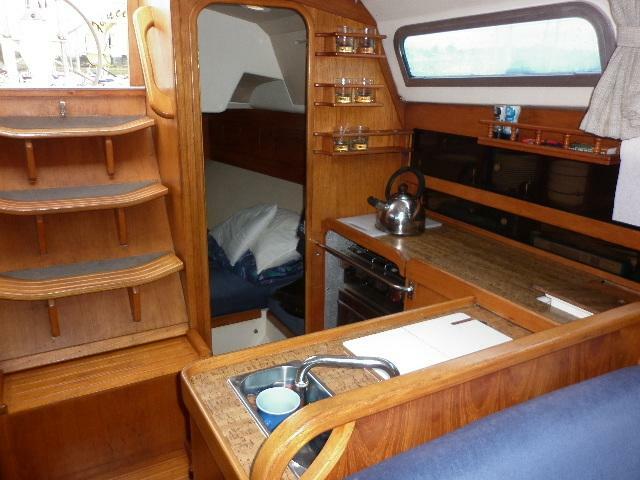 Saloon with u shaped dinnette to port, table with twin folding leafs, lee cloths and ample storage. 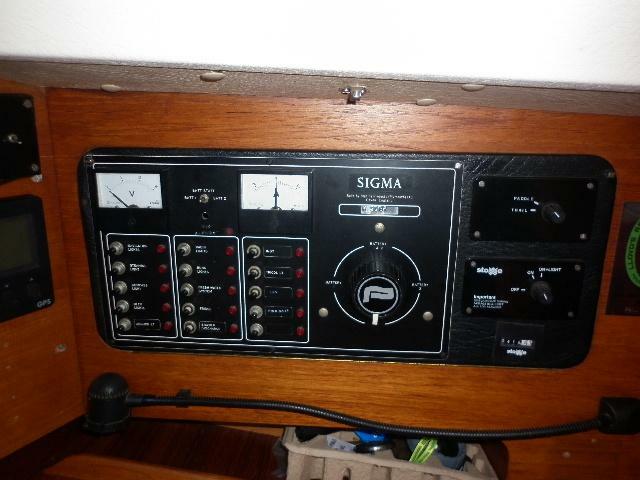 Chart table to starboard with intrument panel. 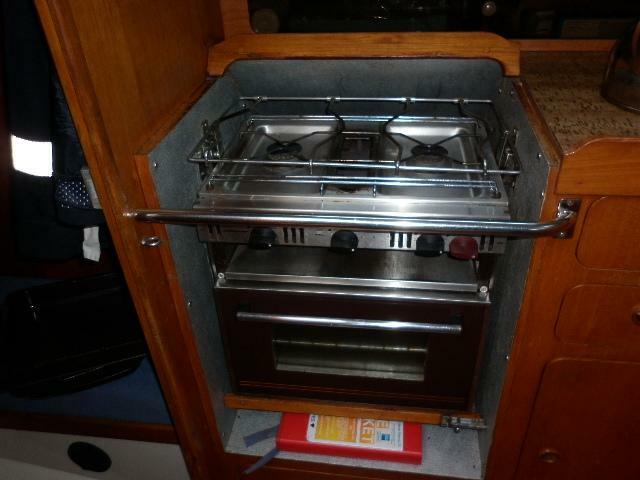 Galley to port with 2 burner cooker, grill and oven, twin s/s sink with hot and cold water, large refrigerator and ample storage. 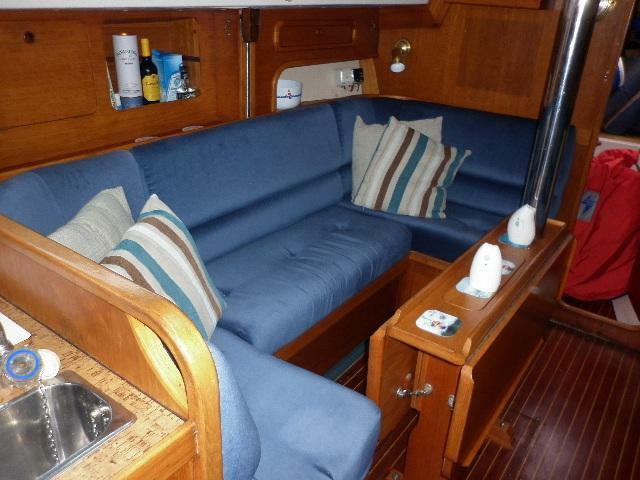 Aft cabin with double berth and ample storage. 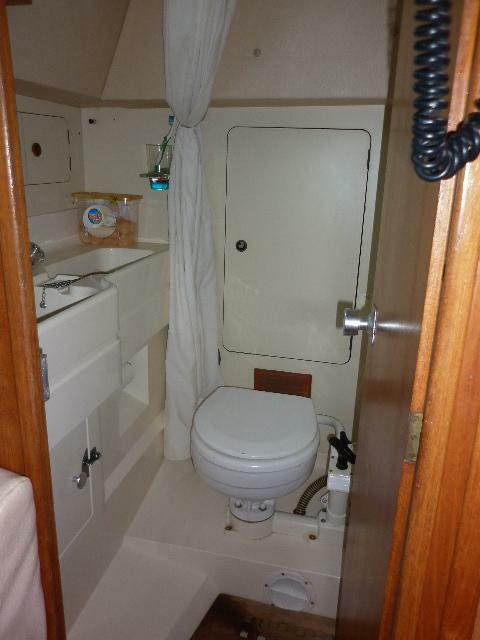 Aft heads with marine toilet, basin and shower. Steps to cockpit with access to engine behind. Bruce anchor with 20m of chain and warp. Aft mooring cleats with fairleads. S/S boarding ladder on stern. 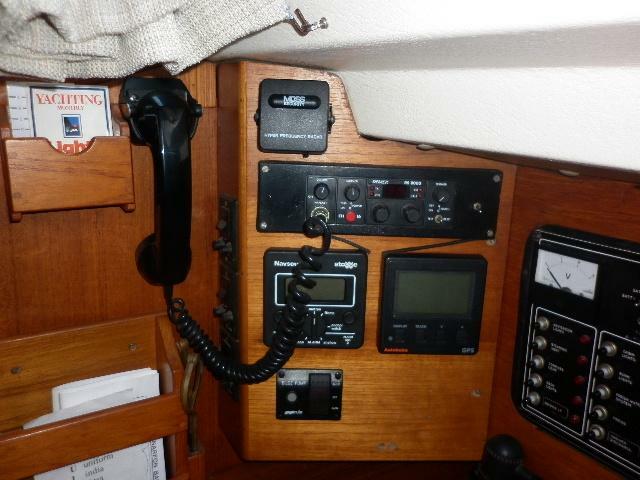 Stowe navigator 2 log (new transducer 2012). Standard horizon CP300 chart plotter (2008). 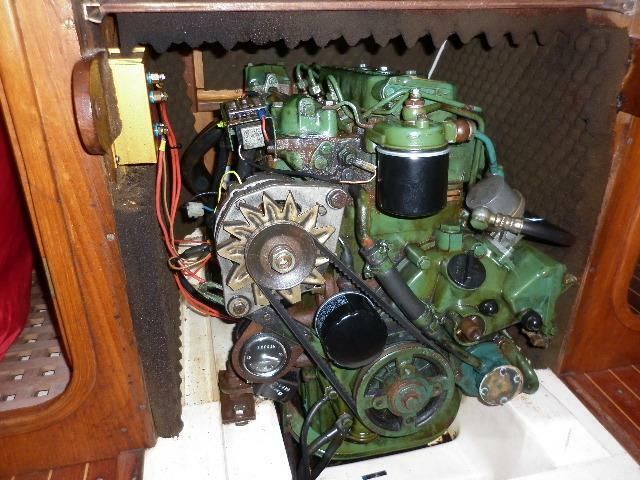 AIS engine and antenna (2008). 2 horseshoe buoys with lights. Electric auto bilge pump 2008.